The Indonesia Pavilion event held on the sidelines of the International Monetary Fund (IMF)-World Bank annual meetings has recorded a total sales of Rp211 million as of Thursday (Oct 11). 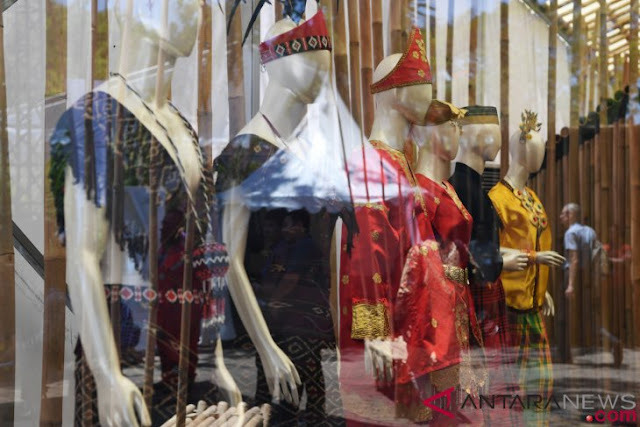 Data from state-owned retail firm PT Sarinah (Persero) obtained here on Friday showed, the amount of daily transactions made during the event has reached Rp50 to 60 million from the sales of various products displayed in the zone for micro, small and medium enterprises (MSMEs). The MSMEs displayed their products in the area are those under the guidance of some state enterprises, including PT Sarinah, and they can have retail selling in the area. Yolanda, guest relations officer, said products displayed in the pavilion are limited edition that has been curated by a team of Sarinah`s curators. The items that have passed the curation have ethical nuance and export quality and use local raw materials. Previously, the director of rental business and trade of state-owned retail firm PT Sarinah, Indyruwani Asikin Natanegara have set the target of recording a turnover of Rp6.5 billion at the end of the expo. The target of Rp6.5 billion may be obtained from the sales of 7,491 items of goods during the expo held on October 8-14 to exhibit the country`s culture and various state projects, she said. "The vast majority of buyers in Indonesia Pavilion are delegates to the IMF-World Bank meetings held until October 14. The expo will be open to domestic buyers especially on October 14 and 15," she said. The goods are among the most-sought items, she said. The thousands of items of goods were produced by 150 micro small and medium enterprises guided by state-owned companies, the Industry Ministry, the Trade Ministry and the Creative Economy Board (Bekraf). A special survey conducted by the Creative Economy Board and the Central Statistics Agency (BPS) showed that the creative economy contributed Rp832.2 trillion to the national economy in 2015, up 4.38 percent from Rp784.8 trillion a year earlier.